Boxing great and septuagenarian senior citizen "Float like a butterfly, sting like a bee" Muhammad Ali (nee Cassius Clay) has died at the age of 74 on June 3, 2016. Muhammad Ali's autobiography The Greatest: My Own Story, was turned into the movie The Greatest (1977). 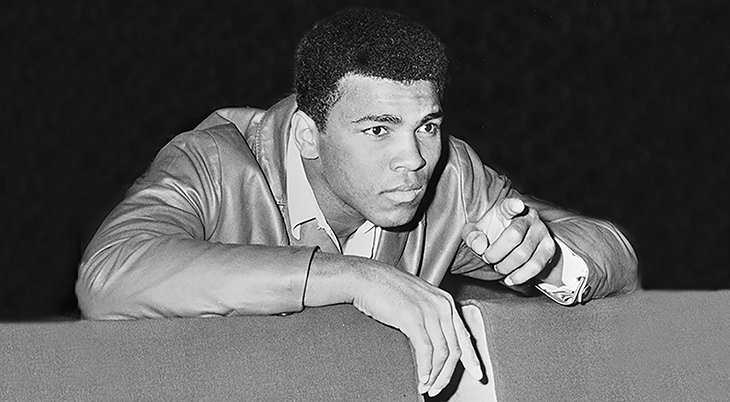 Muhammad Ali starred as himself in The Greatest and was supported by actors Ernest Borgnine, John Marley, Robert Duvall, David Huddleston, Paul Winfield, and James Gammon. Roger E. Mosley (Magnum, P.I.) played boxer Sonny Liston, James Earl Jones appeared as Malcolm X, and Dina Merrill was fan Velvet Green. Muhammad Ali had been diagnosed with Parkinson's Disease in 1984 and in more recent years, had been hospitalized several times for different medical issues, most recently respiratory problems. He leaves behind his wife of 29 years, Lonnie (Yolanda) Williams, their adopted son Asaad Amin, and Ali's children from previous relationships: daughters Maryum, twins Jamillah and Rasheda, and Muhammad Ali, Jr. with Ali's second wife Belinda Boyd (Khalilah Ali) (married August 1967-1977); daughters Hana and Laila Ali with this third wife Veronica Porsche (m. 1977-1986); and daughters Miya and Khaliah, from two other relationships. "The man who views the world at 50 the same as he did at 20 has wasted 30 years of his life." Memorial Service Music - Bed of Roses?